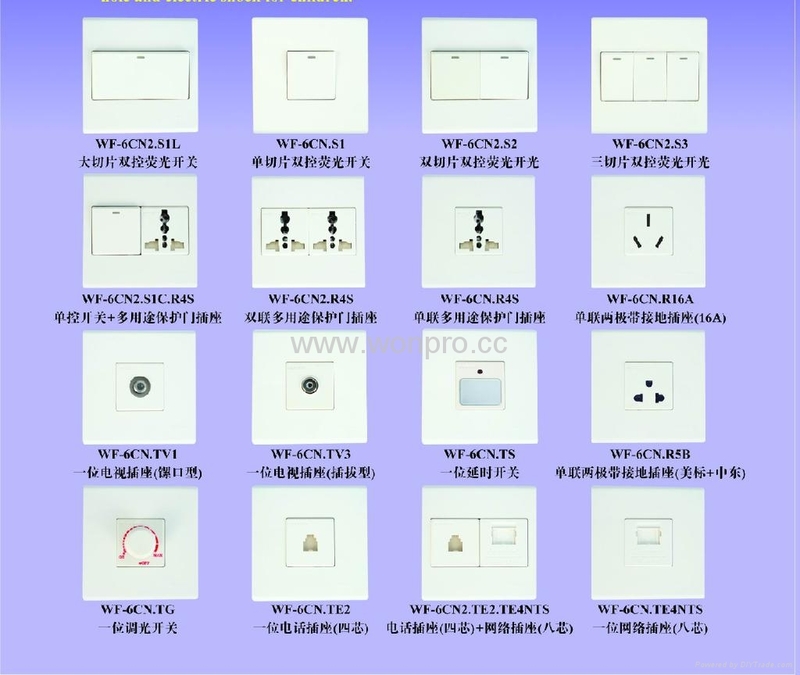 This product WF86CN series, with structure of rocker plate is for in door use of a wall installation, being of a double-control switch or one pole switch . With silver contacts, excellent electrical conductivity and a light power indicator, the indicator lights when the power goes out, so obviously in the dark circumstances specified in the switch position, easy operation. It has the features of Modular, non-sub-thread connection, and easy to install. The shell, the use of flame-retardant material is safe against the burning.Soft graceful tone, protection against solar violet radiation, defend erosion, ant the very best character, streamlined appearance, integral whole, light and smooth in switch operation, sustaining for ever their respectable natural color. 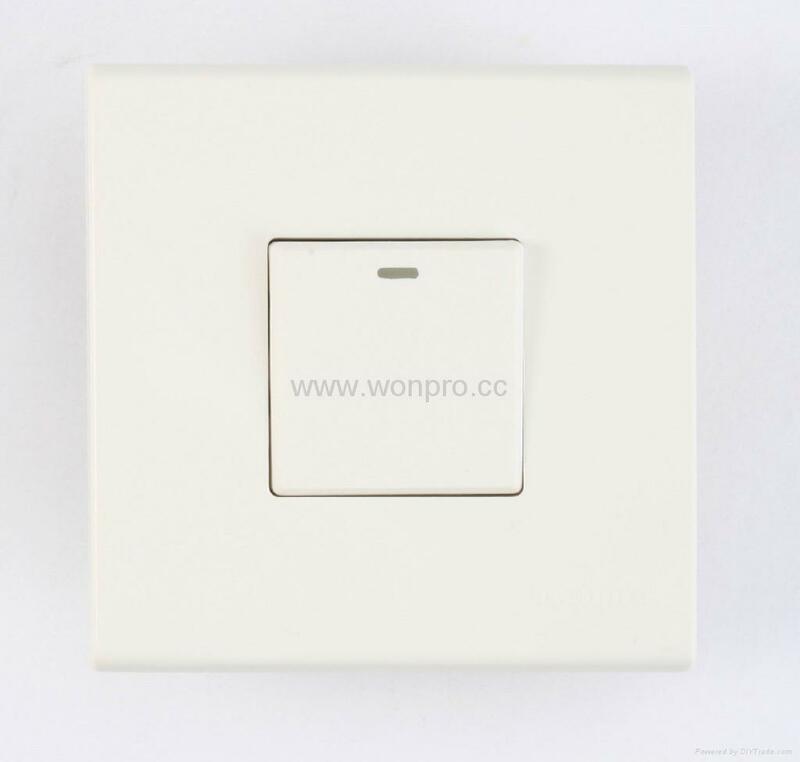 According to product features it can be divided into double (double control) switch, single pole (single control) switch, illuminated and non illuminated switches. 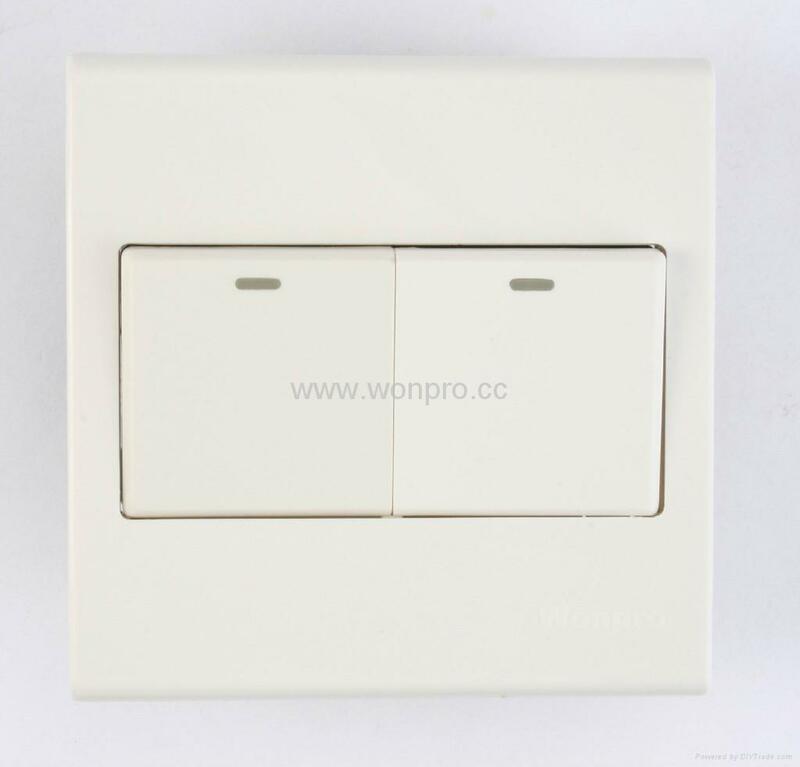 Double-switch with two circuits, local control can be used in two different electrical appliances (lights), at places of upstairs / down, different rooms. 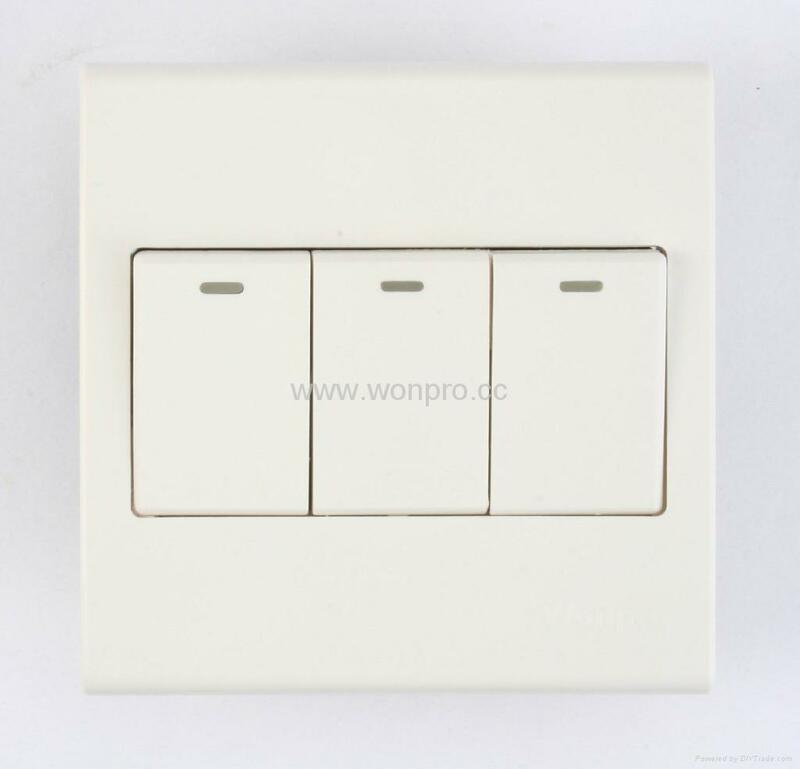 There is only one single pole switch with one circuit, only control one electrical (lighting). Rocker Switch with neon bulb as a light, not power situation, the indicator lights glittered, position switch position. 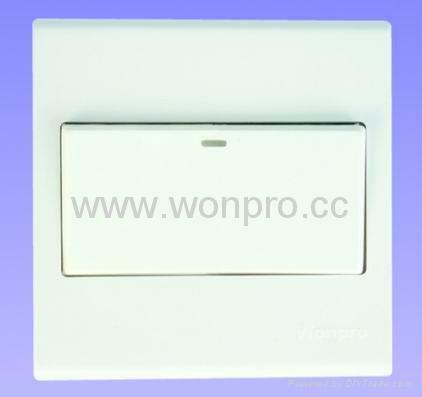 Without lights switch is also equipped with fluorescent plate as light in the dark case, light is shimmering, position switch position. According to the size of switching sections, it can be divided into large sections, small slice, two slices, three slices, four slices, five slices, with six slices switch (maximum six slices). WF86CN Series was the three largest slices. Four sections, five sections, with six sections in the WF-3 switch series. According to product features and the size of slice, assemble the products.